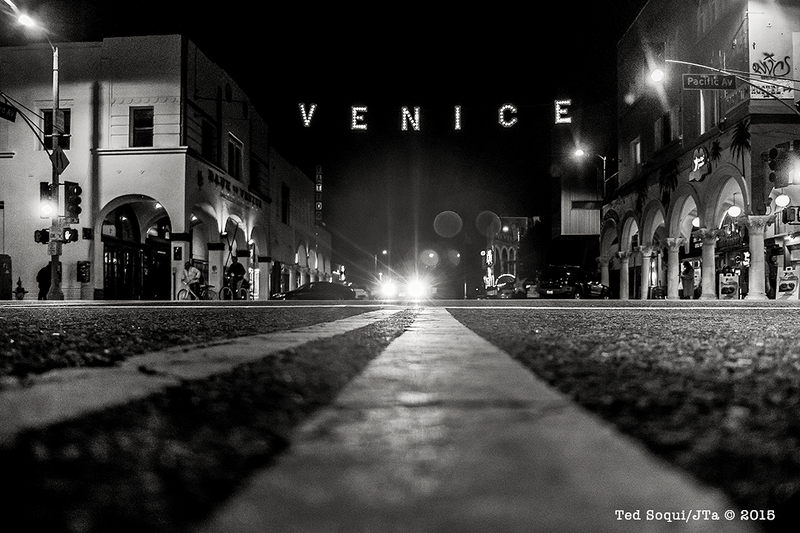 On Saturday April 18th, we are offering a daylong photo workshop in Venice Beach. Ted Soqui with Nick Ut as our special guest. Between the three of us, we have about 100 years (yep, over a hundred years) of combined photo taking experience. With our workshop, we will motivate and inspire you to improve your photographic vision. This class is good for travelers or folks who want to learn to shoot in a photojournalistic style. All abilities are welcome. We enjoy working with all levels of photographers. Class size will be limited to 12 people maximum. We will start at 12pm and will shoot until dusk, that’s when we get the best photos of the day. class. Leave your flash and tripod at home. A guided view of Venice and the environs with two world-class photojournalist as instructors with our special guest, Nick Ut. Spring weather is always unpredictable. We always make the most of what weather we get. That’s part of the class. We are hoping for sunny winter weather in Venice. Be prepared with a selection of appropriate clothing for the day. A small jacket along with a hat would be very helpful. You probably won’t need gloves or scarves. Sun block is always a good idea. Wear full-length pants or equivalent. Venice Beach in December usually is a great time of year, it should be warm and mild through out the day. The early evenings tend to chill down quickly. Nick Ut is a photographer with the AP. He is best known for photographing a young girl, Kim Phuc, running down a street in Vietnam after a napalm drop on her and her village. The photo was credited with ending the war in Vietnam and it won him the Pulitzer Prize in photography. Nick still works as a photographer in the Los Angeles bureau of the AP and continues to take great and amazing photos. Join us, you will have a great day taking photos and learning new things and making new friends. Sign up via our site or contact us via email. Full refund up to 3 weeks before workshop date. Refund for credit towards a future workshop if canceled anytime afterwards.